Please choose your carburettor from the categories below. If the part you need is not listed, please contact us as there are still many items we have in stock which are not listed on this website. We have a lot of parts that Dell’Orto in Italy doesn’t stock any more, and we’re re-manufacturing certain parts that are no longer available. 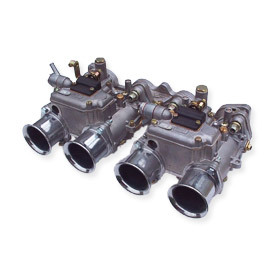 Before Dell’Orto stopped production of car carburettors, Dell’Ortos were fitted as standard equipment to Alfa Romeo and Lotus, until the catalytic converter killed the carburettor off for new cars in 1992. We still have a few DHLA40 and 45mm carbs. here along with 32DHLBs and some single chokes, but the rest are sadly no longer available. The DHLA & DRLA carburettors are widely believed to be the most sophisticated carburettors of their type, prompting David Vizzard to say in Auto Performance magazine, “Dell’Ortos produce truly excellent results…On engines where atomisation is a premium requirement, Dell’Ortos are superior to everything”. The last carburettors Dell’Orto produced were the unique ‘tri-jet’ DHLA45s for Lotus, which as well as an idle and main circuit, has a power jet circuit for extra enrichment at high revs. 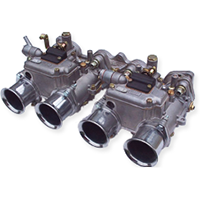 This system was also fitted to the Lotus Esprit Turbo carburettors, which can hold up to 30-PSI boost pressure. 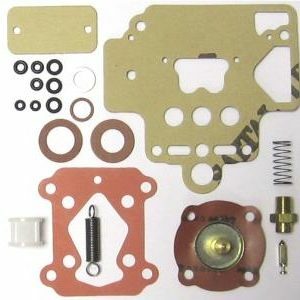 eurocarb ltd stock every single part for DHLA, DRLA & DHLB carburettors, as well as complete new and some reconditioned units.